Advanced software and equipment to aid in the fight against counterfeit microelectronics in US weapons and cybersecurity systems has been transitioned to military partners under the Defence Advanced Research Project Agency (Darpa)’s Integrity and Reliability of Integrated Circuits (Iris) programme. Olympus, a world leader in nondestructive testing technologies, has announced the introduction of the new BondMaster 600 Bond tester that is designed to nondestructively inspect bonds in honeycomb or laminate composites, and metal-to-metal parts. LEADING semiconductor test equipment supplier Advantest Corporation has announced that a new mould thickness metrology system, the TS9000, for measuring the thickness of semiconductor packaging, is available for purchase. 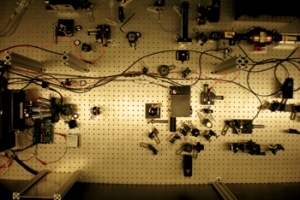 The system is based on advances in Terahertz (THz) technology pioneered by Advantest.